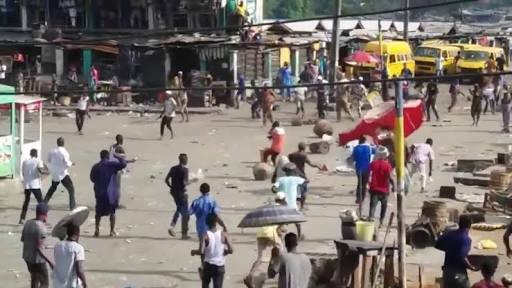 A clash between two rival cults has resulted in the death of an unidentified man at Alapere, in the Ketu area of Lagos State. The incident took place on Modupe Street, off Kazeem Street in Alapere on Sunday. A resident of the area, who claimed to have witnessed the fight, recounted that the cult members came from a nearby street, describing the area as a hotbed of cultism. It was learnt that the Alapere cult war had been on for more than three years, resulting in the death of no fewer than eight people within the period. NAN reports that the resident identified the warring parties as members of the Eiye and Aye confraternities. “These cult members are always at war with one another, shooting guns all night some of the time. “Kazeem, Aminu and Akampson streets near the transformer at Alapere are notorious for cult activities,” the source added. The spokesman for the Lagos Police Command, CSP Chike Oti, confirmed the clash, adding that the victim was stabbed to death. Oti said the identity of the dead man had yet to be known. He noted that the body had been removed by policemen from the Alapere division and deposited in a mortuary. The spokesman said no arrest had been made.